A major update bringing StickyStudy closer to a research tool. 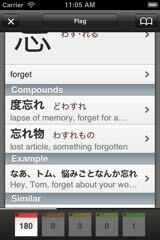 The "Single sticky display" has been completely rewritten to show more information, much like a dictionary. 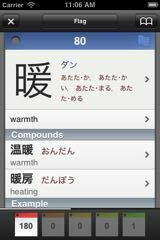 You can now infinitely delve through layers researching any kanji, compound or example just by touching it. [Added] "Copy sticky to clipboard" option in "Edit"
[Fixed] Copy/pasting into the import box from Mail now works as expected (Mail replaces tabs with 4 spaces…) You can now also type 4 spaces directly into the import box and have it read as a tab.